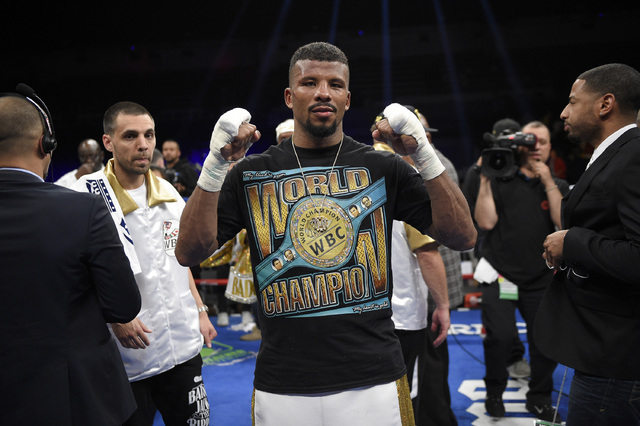 Badou Jack, the WBC super middleweight champion, is the first boxer not named Floyd Mayweather Jr. to win the Nevada Fighter of the Year award since it was created in 2013. 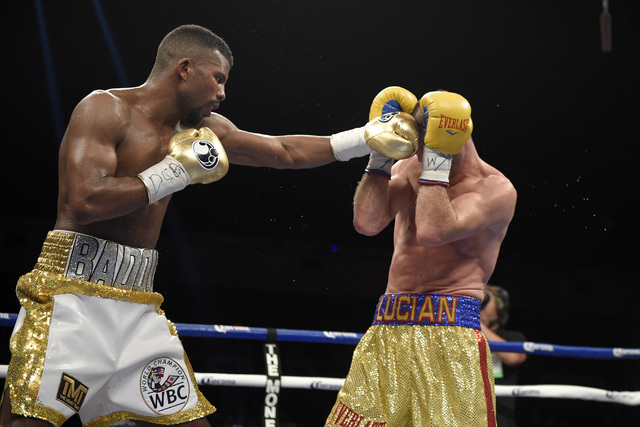 Badou Jack was caught off guard when he was named Nevada Fighter of the Year by the Nevada Boxing Hall of Fame this month. Jack knew he had a big year, but he didn’t have the prestigious award on his radar with superstar Floyd Mayweather Jr. residing in Las Vegas. Jack, the WBC super middleweight champion, is the first boxer not named Floyd Mayweather Jr. to win the award since it was created in 2013. Jack moved to Las Vegas after signing with Mayweather Promotions in 2011. Rising Las Vegan Devin Haney was named the Nevada Prospect of the Year, and Ava Knight won the Nevada Female Fighter of the Year award. UNR fighter JJ Mariano was selected as the Nevada Amateur Fighter of the Year. All the winners will be honored Saturday during the Hall of Fame ceremony at Caesars Palace. Mayweather has fought only once since winning the 2015 honor. The future Hall of Famer defeated Andre Berto by unanimous decision in September and has been retired since. Jack started his memorable year by taking the WBC belt from Anthony Dirrell in an upset win in April 2015. The Swedish boxer added another signature victory after defeating George Groves for his first title defense in September. The boxer known as “The Ripper” had a hiccup against Lucian Bute in a controversial draw in April, but still retained his title. Jack is hoping to end this year with a bang. He’s trying to work out a deal to fight James DeGale in a unification showdown in October. The bout is expected to be in England or Las Vegas. Jack’s career took off when Mayweather noticed him in a sparring session and decided to buy out his contract with promoter Lou DiBella. Jack started boxing at the late age of 18 in Sweden. Haney also has received guidance from one of the best in the ring. The 17-year-old prospect has spent the past few weeks training with Andre Ward, the former super middleweight kingpin. Haney became the youngest boxer to fight at the MGM Grand Garden in April, when he easily defeated Rafael Vasquez on the Manny Pacquiao-Timothy Bradley Jr. III undercard. Haney is 7-0 since turning pro in December and plans on fighting next month in Pittsburgh. Haney, who studies past boxers, said he’s excited to meet Sugar Ray Leonard at the ceremony. The Hall of Fame also plans on honoring WBC president Mauricio Sulaiman, the recipient of the Muhammad Ali Humanitarian Award. Herb Santos Sr., a former judge and Nevada Athletic Commission member, will receive the Presidents Award. NOTE — The Hall of Fame will host a meet-and-greet event Friday with past and present boxing figures at Caesars Palace. The event is scheduled for 11 a.m. to 5 p.m.